Horizen is a privacy cryptocurrency that was formerly ZenCash. 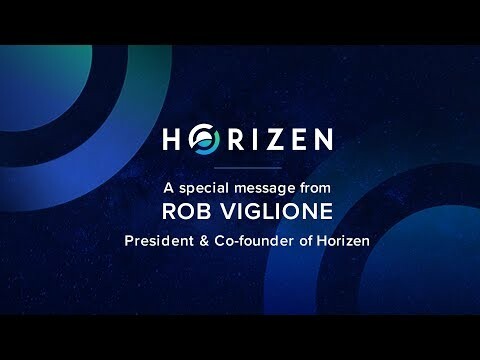 ﻿Horizen (ZEN), formerly ZenCash (which was a fork from ZClassic), is a privacy cryptocurrency that officially launched on May 23, 2017 and was founded by Ron Vigilione and William Wolf. ﻿Horzien uses a the Proof-of-Work (PoW) Equihash hashing algorithm that was created by Alex Biryukov and Dmitry Khovratovich at the University of Luxembourg. It has a block reward of 12.5 ZEN, a block generation time of 2.5 minutes, and a block size of 2 MB. The division of each PoW block reward and transaction fees are distributed using the following rules: 88% to miners, 5% to one or more DOAs, 3.5% to secure node operators, and 3.5% to the core team. ﻿The re-branding of ZenCash to Horizen was done after BrandTuitive, a New York based branding and marketing firm, conducted research on the cryptocurrency market including miners, node operators, investors, and employees. Both companies came to the conclusion after analyzing their finding that re-branding ZenCash to Horizen reinforces the companies commitment to ensuring user privacy.